Aston Martin offers an unrivalled experience when it comes to the automotive world of luxury and high-end design. An Aston Martin enables you to make a bold impression on the road; however, if you’re looking to accentuate the personalisation of your car, then the Q by Aston Martin programme is for you. Q by Aston Martin is a opportunity to make your new Aston Martin fully unique from that of anyone else’s model. This is a chance to make sure that your car is your vision of the ultimate Aston Martin through pure customisation and with the help of the company’s award-winning design team. At Aston Martin Newcastle, you’ll discover a world of new possibilities in our own relaxing Q Lounge. There you’ll be able select from the comprehensive selection of materials, textures and colours available, for both inside and outside your car. While you’ll already be in an inspirational environment, you are free to put forward anything that has influenced the way in which you wish your Aston Martin to be built. A Q by Aston Martin car embodies your personal values and desires, allowing you to translate these into a piece of automotive art that relates directly to you. The level of intricacy of a Q by Aston Martin car is completely down to you, it can be a subtle touch or a deeply personal translation. Bespoke colourings and unique trim and materials can be specified, while embroidery can be utilised to your heart’s content. Remember, no request is too specific. As being part of Aston Martin is not just about the car, but also the lifestyle that comes with it, you’ll be able to personalise what you take with you once the engine has been turned off. Luggage collections and picnic sets are just two of the many accessories you can customise with Q by Aston Martin, and these can be designed to match your car’s customisations. Q by Aston Martin has showcased some of its most treasured examples at the world’s biggest motioning events over the years. 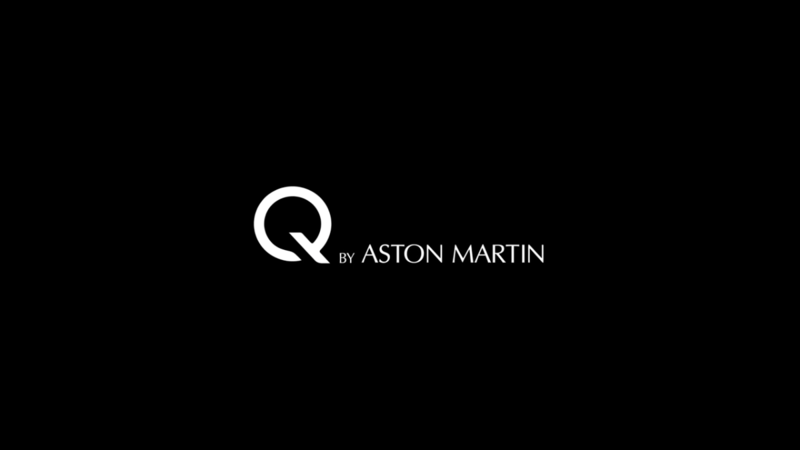 Most recently, the company exhibited one of its most important steps: Q by Aston Martin - Collection. This initiative sees a selection of exclusive trims and enhancements being offered for your Aston Martin, elements which were brought to life by the DB11 Q by Aston Martin car that was placed for all to see at 2017’s Geneva motor show. Taking bespoke to a new level, Q by Aston Martin - Commission allows you to go further than just choosing personal trim and spec, and instead looks at helping you create an entirely unique car. Some Aston Martin enthusiasts wish to see their vision translated into something never seen before, and with Commission we can help realise those dreams. You only need to look to cars such as the CC-100 Speedster Concept or the Vantage GT12 Roadster - both one-offs - to see what might be possible.